Campaigners are urging the Government to consider each fracking case on its own merit as an appeal is passed in Lancashire to overturn a local authority decision. The plans, to frack for shale gas and build up to four wells at a site in Fylde, had initially been refused by Lancashire County Council (LCC) following a wave of opposition. But, after an appeal to Communities Secretary Sajid Javid, the plans have now been given the go-ahead, sparking fears over a “worrying” precedent. “It’s a very worrying development for democracy,” said Coun Dinah Keal, Lib Dem, of Ryedale District Council. “Every case should be judged on its own merit. The fracking companies are watching these decisions - and waiting to put in more applications. Licences have been granted all over North Yorkshire. The Lancashire plans, passed yesterday, are from gas company Cuadrilla to frack between Preston and Blackpool. They were turned down by LCC last year, although officials had backed the proposals. Cuadrilla appealed and following a public inquiry earlier this year, the planning inspector recommended giving planning permission. A second site in Lancashire, Roseacre Wood, has not yet been passed amid concerns over HGV traffic and road safety in the area. Environmentalists and campaigners reacted angrily to the decision, which they said went against the wishes of residents. Pam Foster, co-founder of Residents Action on Fylde Fracking, said she was “absolutely disgusted”. “This is a total denial of democracy. Our parish council, our borough council, our county council all threw out this application. When David Cameron was prime minister, he said the Government was going “all out for shale” to boost the economy, jobs and energy security, and soon after she took over as PM, Theresa May launched a consultation which could see home owners receive individual payments for fracking wells drilled nearby. But the process - in which liquid is pumped deep underground at high pressure to fracture shale rock and release gas - remains highly controversial. Opponents of fracking fear it can cause earthquakes, pollute water, lead to damaging development in the countryside and hit house prices. There was huge opposition in North Yorkshire when an area in Ryedale became the country’s first fracking site for five years in May. 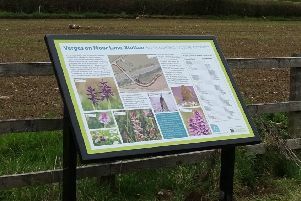 The controversial proposal was given the go-ahead by North Yorkshire County Council (NYCC) at a site near Kirby Misperton and would be the first onshore site since 2011. More than 80 speakers had told the county council’s planning committee of their fears of the possible impact, but Third Energy insisted the objections were based on misunderstandings. Chris France, director of planning at the North York Moors National Park Authority (NYMNPA), said plans were in place to provide some measure of protection with a proposal for a fracking free buffer zone to go to consultation later this month. Protestors are now awaiting the results of a judicial review which is to be held at the Royal Court of Justice in London in November to decide the legality of this decision. And, they say, yesterday’s appeal decision does little to assuage fears that decisions are being taken with the opinions of the public in mind.